Cornish Pirates boss Chris Stirling insists his side can beat Worcester in the Championship play-off final. Worcester finished the regular season top of the Championship standings, while the Pirates came third. 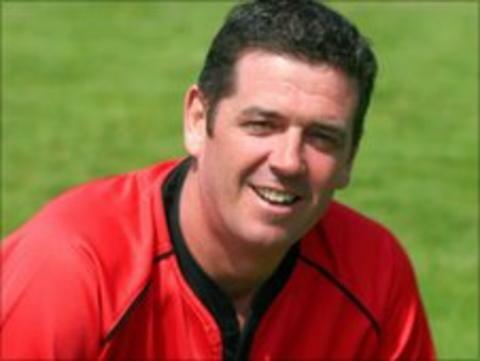 Stirling told BBC Cornwall: "I'm sure Worcester will come at us pretty hard and pretty direct. "They've got to come down to ours and I know that the boys are not just satisfied to make the final - we're not there to make up the numbers." He added: "We're going to give it everything we've got." The Pirates booked their place in the final of the play-offs with an 18-10 win over London Welsh at the Mennaye Field. And the Penzance ground is the venue for the first leg of the final on Wednesday, with the second at Sixways on 18 May. One of the players the Pirates will have to stop over the two legs is former England international Andy Goode, Worcester's top points scorer. "Of course Goode is a talent," said Pirates prop Alan Paver. "No-one plays for England if they haven't got something about them. "We know all about him, but at the same time we can't focus on him, we've got a defensive game that can shut any of the teams down." The Pirates' semi-final win was inspired in part by the club's captain and scrum-half Gavin Cattle, who scored their first try before releasing Rhodri McAtee for the crucial second. The veteran number nine said: "As a player winning the Championship, I don't think there's many bigger achievements outside the Premiership so it's a massive focus for it."